Each bay provides 15" of vertical storage space. 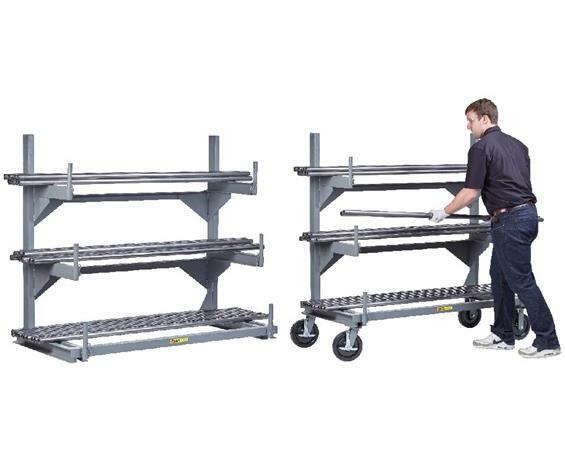 This single sided rack allows for efficient storage for bar stock, tubing, angles, and other long and bulky materials. 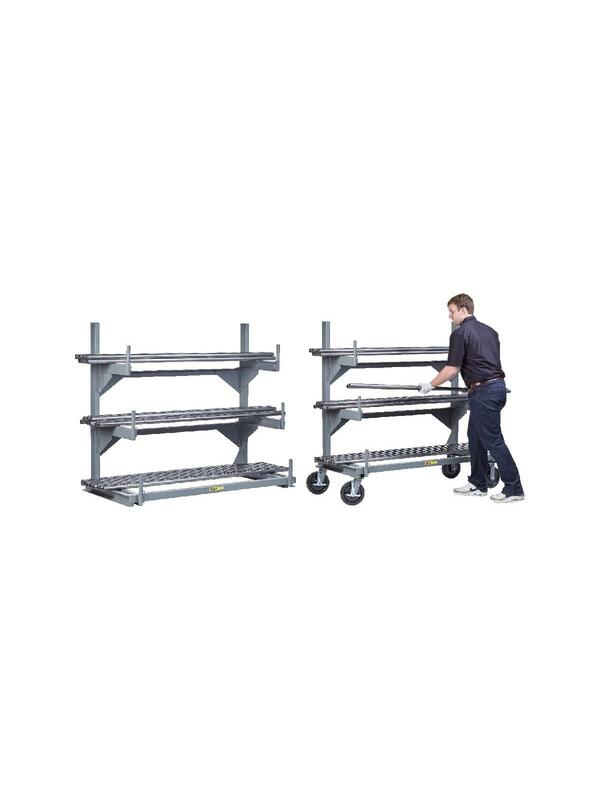 The all-welded steel construction features structural channel frame, base and arms. Removable retainer pipes at ends of arms extend 5" high to provide secure load retention. Powder-coated finish. 1500 lbs. 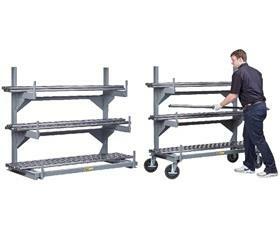 capacity per level, not to exceed 4000 lbs. overall. FOB Shipping Point.